Lelouch of the Rebellion Wallpaper: Do you know why snow is white? 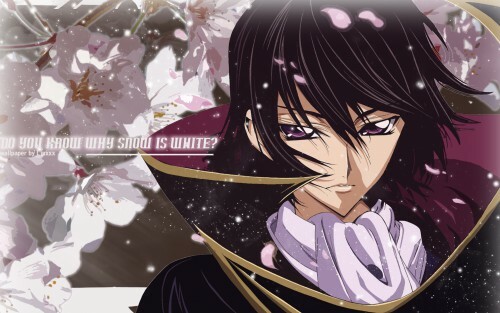 Minitokyo »	Lelouch of the Rebellion Wallpapers » Lelouch of the Rebellion Wallpaper: Do you know why snow is white? This is my first Code Geass wallpaper. I have created the background myself, and edited Kallen out of the original img of Leluch. Tweaked it ofr quite a while so that Lulu and the backgound would look simular in tone and texture. I love Lelouch's expression and the effects of the snow. Very nice wallpaper. wow! This one is amazing! lelooouuucchhh!love you so!aaahh~~~ so cute!